InKeepr is believed to be a renamed version of Genieo (from the same creators). 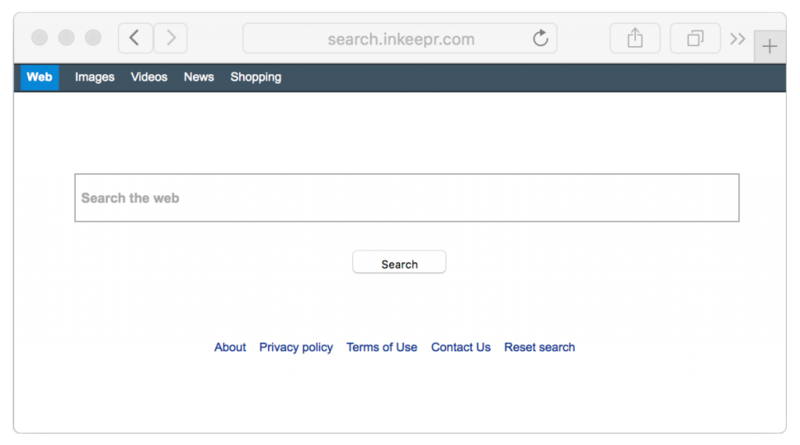 InKeepr is a “content recommendation engine,” which is installed on a local system to allow custom searches and targeted advertising to be presented on a homepage, managed through a browser extension. In essence, it tracks what you do and guides your searches and activity to relevant commercial sites and deals. Scan your computer with MacWare Adware Cleaner for Mac. Adware Cleaner will free your computer from annoying adware, malicious hijacker programs (e.g. InKeepr) and unwanted toolbars. How to manually remove InKeepr? Please follow the Genieo removal instructions.